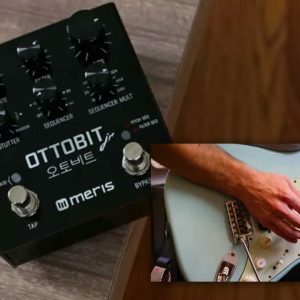 Check out this great Meris Ottobit Jr Pedal demo by Vintage King. Ottobit Jr is designed for guitarists, bassists, synth players and anyone else with a creative gene who appreciates designing crazy and unique sounds. Kitted out with triggered stutter effects, tap tempo, a sequencer module, an awesome low-pass filter and all this is controllable via expression pedal or midi.